New Horizons’ job isn’t done yet. Now that it’s raced past Pluto and given us an unprecedented look at the dwarf planet, the spacecraft is headed out to the mysterious Kuiper Belt at the edge of the solar system. The team at NASA and Johns Hopkins University’s Applied Physics Laboratory have finally decided what New Horizons will inspect: A Kuiper Belt Object called 2014 MU69, which orbits the sun a billion miles farther out than Pluto. 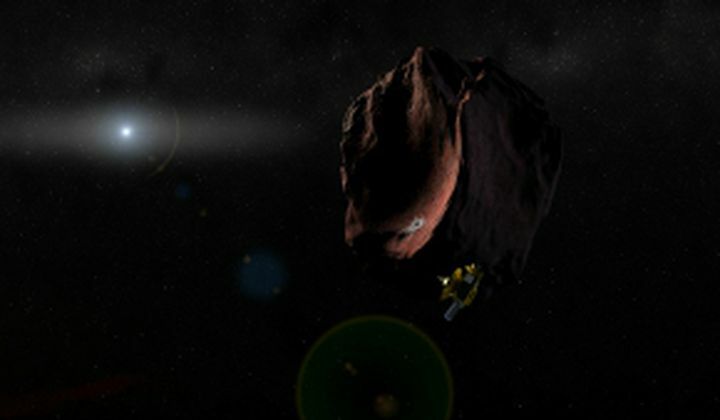 Assuming New Horizons gets funded next year for the extended mission, the spacecraft will perform a series of four maneuvers next October or November that would set it on a course to reach 2014 MU69 on January 1, 2019.